Single emiiter systems must be repositioned throughout the in room up FIVE times, resulting in a 51-146.3* minute cycle. 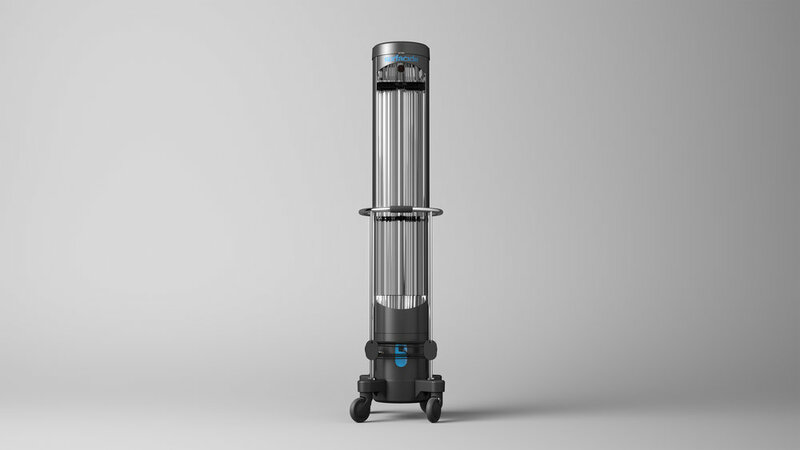 Data shows Surfacide completes an entire room disinfection cycle in less than 20 minutes. Surfacide is proud to be a key part of the bundled enhanced terminal cleaning at Mount Sinai and others in the battle against Candida Auris.